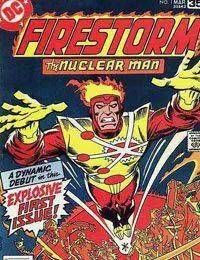 When a student Ronnie Raymond and Professor Martin Stein get caught up in an explosion at the reactor plant for the production of nuclear, the two merged to become Firestorm, nuclear people. Because Stein was unconscious at the time of the explosion, Raymond is active, but it can hear the professor told him in Firestorm person, and vice versa. This run lasted only five issues before falling victim to the DC implosion of the late 70s.